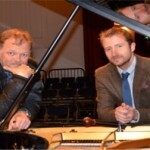 In September 2013 Parbold Douglas Music completed nine months of intensive fund-raising by purchasing a Steinway full Concert Grand, with grants provided by the Arts Council England, Lancashire County Council, West Lancashire Borough Council, Parbold Parish Council and North West Music Trust and particularly noteworthy was the £12,000 raised by the local community. Steinway & Sons, London, assisted in the search for the instrument and pointed Parbold Douglas Music toward a full Concert Grand that was made in 2000, and commissioned in 2002 at the Barbican Hall, London where it had an illustrious career. The distinguished pianist John Lill, CBE, generously gave his time to trial the new piano at Steinway Hall in September and recommended it as “an outstanding instrument … with an extraordinarily wide tonal range”. And so Parbold Douglas Music achieved a long held ambition to which a distinguished alumni of pianists also lent their support. 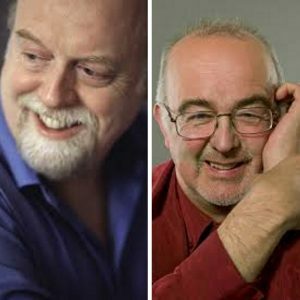 In recent years musicians including Stephen Hough, John Lill, Sunwook Kim, Noriko Ogawa, Martin Roscoe, Philip Smith, Andrew Wilde and Peter and Elaine Donohoe have performed in the recital series. The Society’s reputation for bringing world-class musicians to Lancashire is unparalleled in the region, and its audience travels from across the North West to the regular Saturday evening performances. The new Steinway enables Parbold Douglas Music to meet the demands of such fine musicians and deliver the best for our audiences. 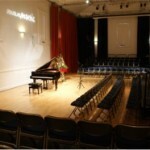 Nikolai Demidenko was the first pianist to perform on the piano in its new home and his Parbold Douglas Music recital featured in September 2013 Gramophone Magazine as one of ‘early autumn’s unmissable musical events’ alongside concerts in Tokyo, Madrid, San Fransisco and the Royal Albert Hall. Demidenko made a point of addressing the audience after the concert to compliment them because he was “very impressed by a collective will and determination of Parbold citizens who contributed to buying this Steinway; professional instruments are very expensive, but they are essential if the public wants to listen to music at its best.” (The Champion). He made the point that the piano now complemented the amazing acoustic of this exceptionally good and large 200-seat performance venue for a rural location. Nikolai Demidenko described the hall as having “great intimacy but at the same time it acoustically blends the sound nicely and gives a special experience to every listener” and linked it with the small 19th century halls and salons in Paris and London, where Chopin originally performed, explaining that such venues give “a different – and precious – experience” (The Champion) and when addressing the audience urged them to keep coming to keep its vital music-making tradition alive. Following his recital of works by Schubert he declared that “this piano sounds like a mint new Steinway (it has virgin new hammers), and during the next year it will open up and come to its full glory. 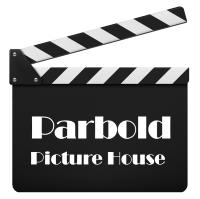 … I have no doubt that the people of Parbold will enjoy many outstanding performances on this top-class professional instrument” (The Champion). Later in the season, Joseph Middleton – ‘the cream of the new generation’ (The Times) – described it as a “superb piano” following his recent recital for Parbold Douglas Music with Amanda Roocroft. David Daniels, concert pianist and piano tuner, will tend to the new Steinway, and says that it is a “fantastic and amazingly good instrument that artists will want to seek out to play because there are only a few pianos in that league in the North West”. At his sell-out concert on September 20th. 2014, the international concert pianist, Paul Lewis repeated to the audience his first reaction at meeting Parbold Douglas Music’s recently purchased Steinway Model D before rehearsing. He told the audience that ‘I know this piano’, he said. ‘I’ve played on it at the Barbican Hall, London. It was their “big beast” – the piano for all the big concertos. Evgeny Kissin, the great Russian virtuoso pianist, always requested it for his concerts.’ He went on to say that he was delighted that such a superb instrument had come to a good home in Parbold. Parbold Douglas Music’s next two seasons are already fully planned and include some of the finest pianists currently on the international concert circuit. 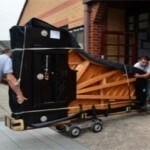 Although we have now acquired our new piano, we still welcome donations. As well as one off donations, we are also inviting sponsorship of different parts of the piano so you, our audience, can have a close link with the instrument. You could sponsor a key for as little as £50, perhaps one of the 88 hammers for £40, or one of the 186 strings for £20. If you would like to make a more substantial contribution you can even sponsor one of the three legs for £250, the pedals for £300 each, or the lid for £500. The choice is yours. These make unusual and lasting gifts for friends or a member of your family, and can also be dedicated in memory of a loved one.